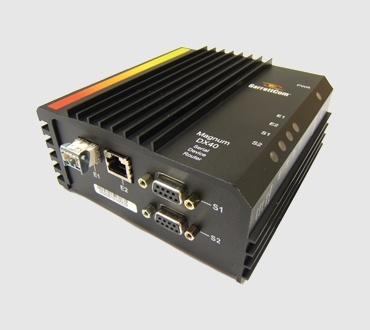 The Magnum DX40 provides a rugged and secure solution for extending fiber-based connectivity to remote devices in harsh environments such as power utility substations.It combines features of a Serial device server, Ethernet switch and IP router in a single product. The DX40's dual-serial, dual-Ethernet configuration supports several flexible configurations.It provides resilient dual fiber-based extension from a core Ethernet network to serial devices distributed across a large facility.It serves as a multi-protocol concentration and access point for a fiber-based Ethernet wide area network connection to a small site. 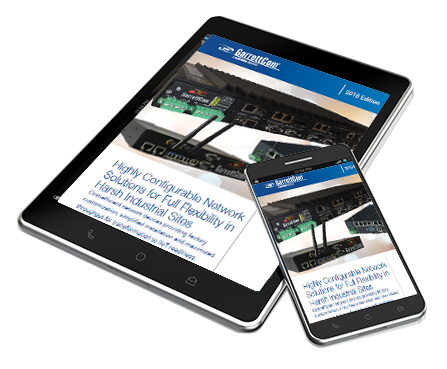 Encrypted per-ses0sion SSL and IPsec VPN capabilities, along with other IP Firewall and port security features, assure cyber-security protections will extend cost effectively all the way to end-point devices and small facilities.